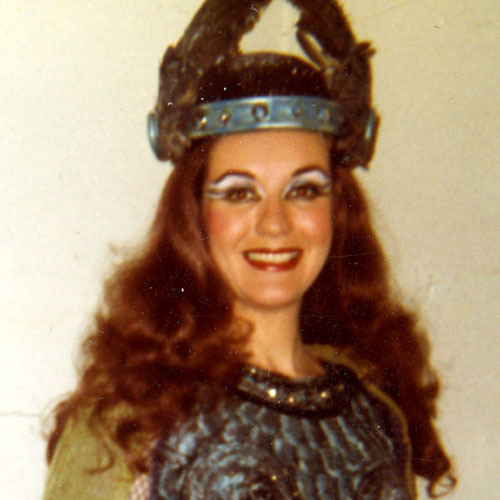 Joan (Falskow) Herald performed the role of Ortlinde, one of the Valkyries, in Seattle Opera's first Ring productions, including the 1973 Die Walküre. One of Seattle Opera's original choristers, Joan sang with the company for a total of 16 years and has vivid memories of our early Ring productions. Joan is an active volunteer, serving as the Vice President of Education for the Seattle Opera Guild, an independent organization which provides support to Seattle Opera and was the lead sponsor for this year's Young Artists Program Viva Verdi! concert. Joan, how did you get involved with Seattle Opera? I grew up in Tacoma, Washington and later went to University of Puget Sound on a scholarship as a vocal performance major. When Seattle Opera began in 1964, I was one of the original sopranos in the chorus. What was the company like at that time? In the very beginning, we were a mom and pop company. 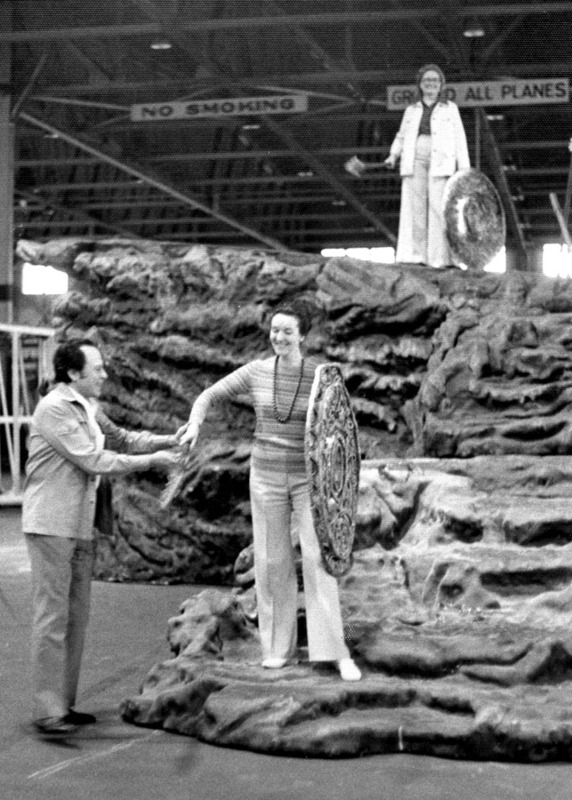 At first, Glynn Ross did the stage direction and his wife would design the costumes. In those days, Glynn would bring in one big name. It was exciting for those of us working in the company. Glynn was the "P.T. Barnum" of opera. He would do anything to bring people in: when he did Salome he had a lapel button that said "Get a head with Salome." 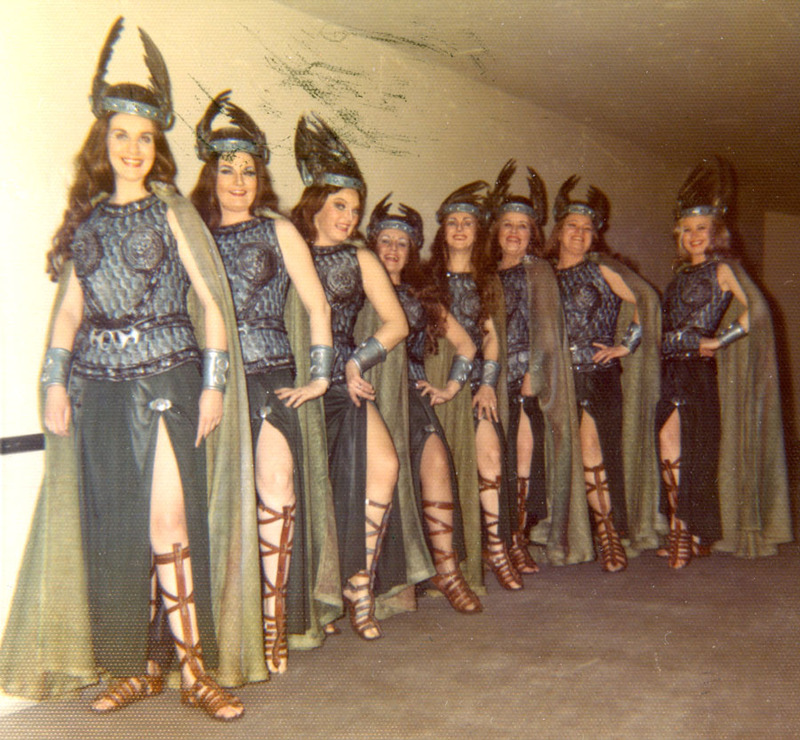 And he put the Valkyries in full costume on the monorail for publicity photos. Where else did you perform? I performed a lot of principal and secondary roles in Cornish Opera Festival productions and the University Festival Opera. Among my favorites were Helena in Britten's A Midsummer Night's Dream opposite John Duykers, the Princess in Cavalli's L'Ormindo because the recitatives were so different and it was a very early opera, and Eurydice in Gluck's Orpheus and Eurydice with Marni Nixon, who was living in Seattle at the time. Opera is for everyone, and I was lucky to be able to tour small communities in Alaska. I was flown in by bush pilots, but the audiences loved that they were having the music come to them. How did you get cast as Ortlinde? I am a spinto soprano [a voice type between a lyric and a dramatic soprano], and I had performed some small roles. 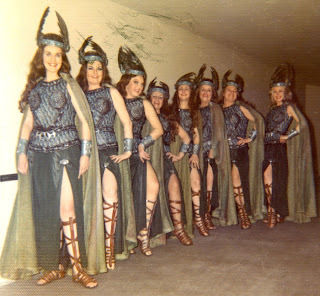 One day, I was asked if I would be interested in singing one of the Valkyries. Ortlinde was the best role for my voice type. I sang the role in the original Die Walküre production and then again in the complete Ring cycles of 1975 and 1976. Do you have any favorite memories of those productions? 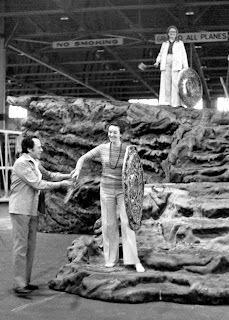 Henry Holt was our conductor and he would mouth all of the words as we, the Valkyries, ran around on the foam rocks on the set. 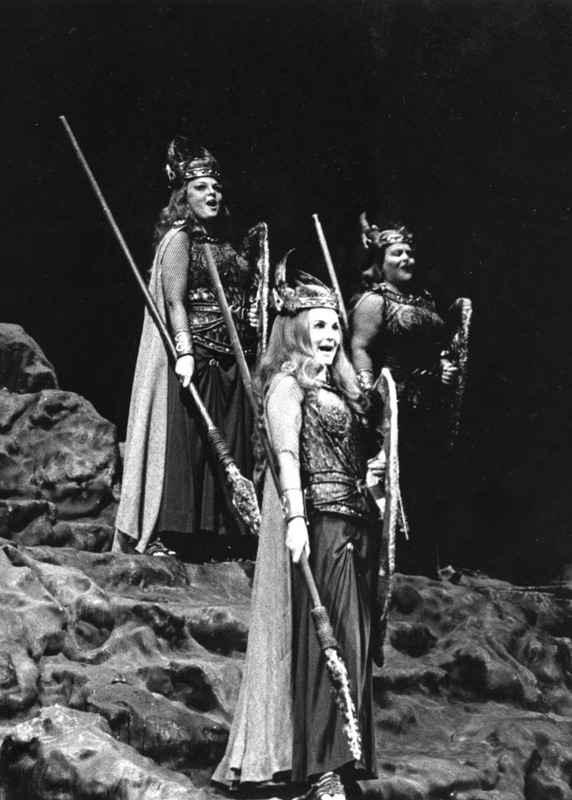 Our Wotan was Noel Tyl who was 6'10" and made everyone feel petite. Our Ring was his first, and after one of the productions, he broke down completely from exhaustion and emotion. We used to rehearse at one of the airplane hangers at Sandpoint. During the first Ring, Henry Holt, our conductor, said he had something to tell us. It seemed that tickets were selling so well that another performance had been added, but our contract did not provide for any more pay. We [the Valkyries] talked it over and agreed to do it. We were not happy, though, so we picked up our shields and spears and surrounded him. He honestly looked a little panicky [laughing]. At that time we performed the Ring in both English and German. Sometimes the translations were a bit strange. It was the first time it had been done in two languages this way in the United States. I don't know if people realize today that the first Ring was a world-wide event. It was featured in Time and Newsweek magazines, and it shared front page headlines in the Seattle Times and Seattle Post-Intelligencer with the Apollo launch. It was a very special time. Did you work with Speight Jenkins? I sang sixteen years with Seattle Opera, and three years under Speight Jenkins. I did take a few years off in the 1970s. Speight has done a magnificent job building the company. Tell us a little bit about what you do with the Seattle Opera Guild. 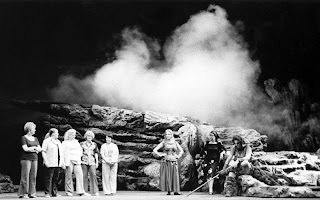 I used to sing Seattle Opera Guild previews occasionally in the early days. I only became involved again about three or four years ago. I was asked to be Vice President of Education of the Seattle Opera Guild because of my background, and I am also the new co-chair of the Magnolia/Queen Anne Preview group. If you have not yet discovered opera, a Guild preview is a great way to get a taste of it. By learning about the opera in advance and hearing the music performed live by some very fine local singers, the preview really adds to your appreciation of the Seattle Opera performance. Is there any final thought you would like to leave us with? When I was at Stadium High School in Tacoma, I sang an aria from La Bohème. I was nervous about performing an opera aria in front of a bunch of high school students, but they were very supportive and they gave me a tremendous ovation. It was such a big thrill. I have believed ever since that we can have bigger and younger audiences if we introduce opera to people at an early age.